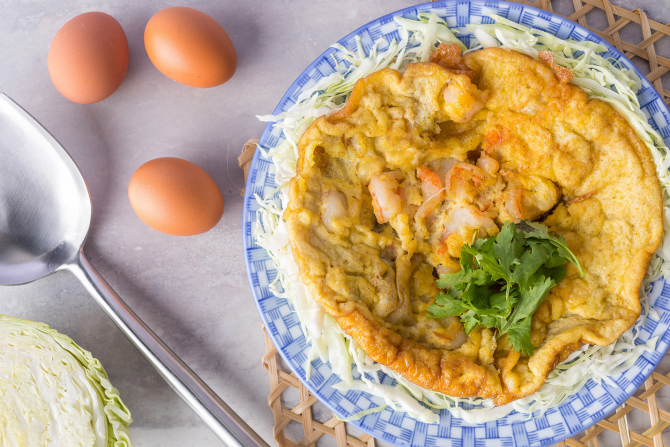 Fluffy omelette with succulent shrimps that will excite your tastebuds with each bite! – In a bowl, crack eggs and beat them until well combined. – Season beaten eggs with 1 Tbsp fish sauce, 1 tsp white pepper, and 1 tsp white sugar. Mix well.